Minimalism is not a lack of something, it's simply the perfect amount of something. 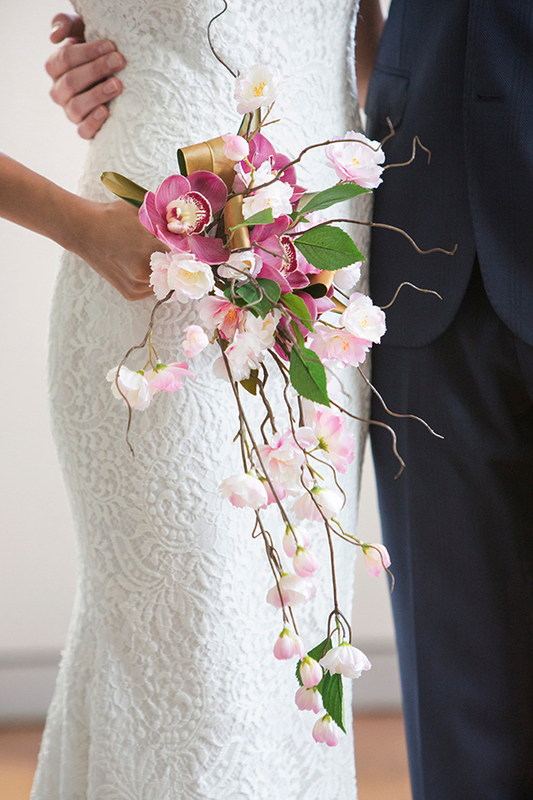 Captured by the creative team behind the lens at Studio Impressions. 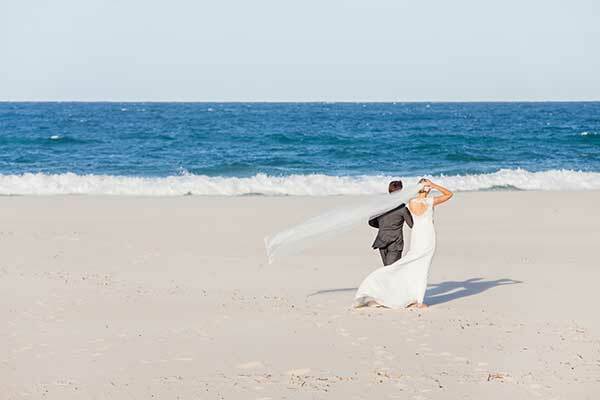 Their Facebook post is below and was also featured in Qld Bride Magazine, Summer 2015/16 -- pages 208-209 plus 158. 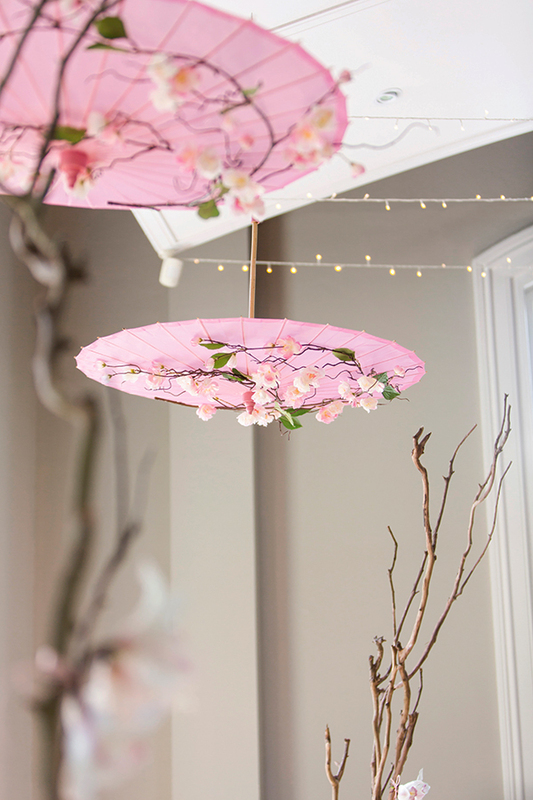 There’s something quite romantic about the delicate cherry blossom. 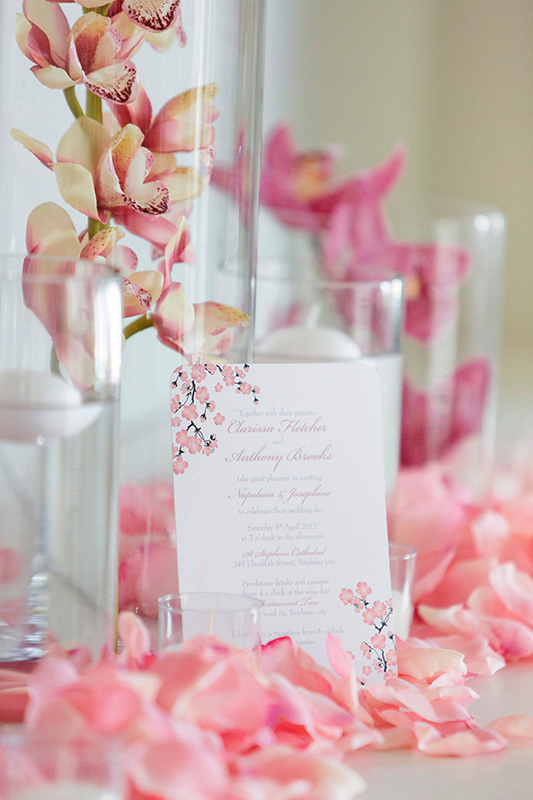 Its rich pink hue makes an undeniable statement so why not consider the bloom for your wedding motif? 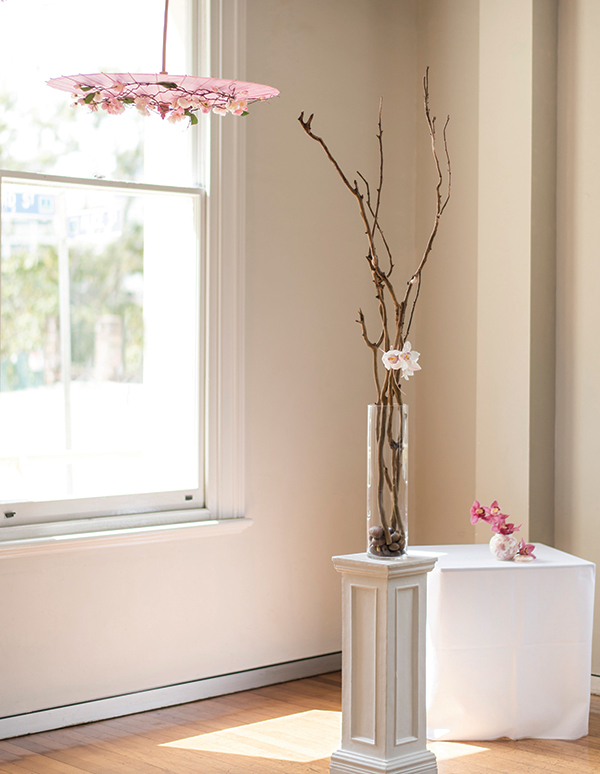 Whether you want to create a lavish wedding look or opt for something minimal, the cherry blossom will add a whimsical element that will suit any budget. 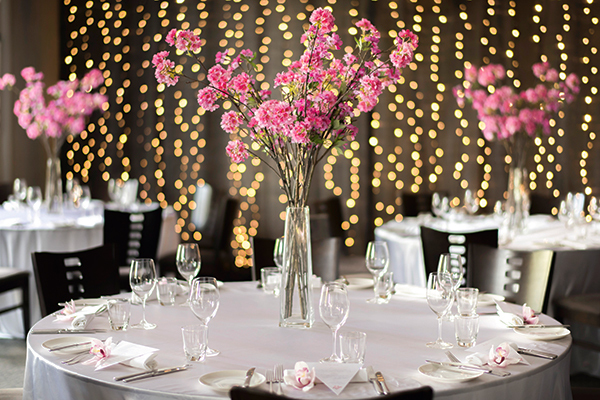 This beautiful, Japanese-influenced shoot was at Restaurant Two, a Brisbane fine dining favourite for over 15 years and winner of the 2014 Fine Dining Restaurant of the Year, Restaurant and Caterers awards. 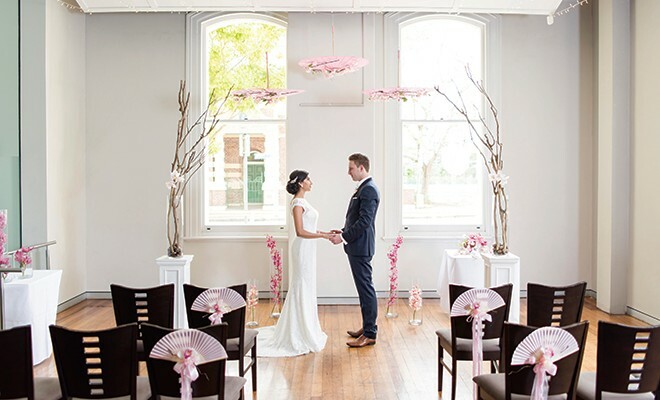 Sandee from Always Fabulous took the brief of a spring cherry blossom wedding and ran with it, creating gorgeous details that personalised the classic, elegant spaces at Restaurant Two. 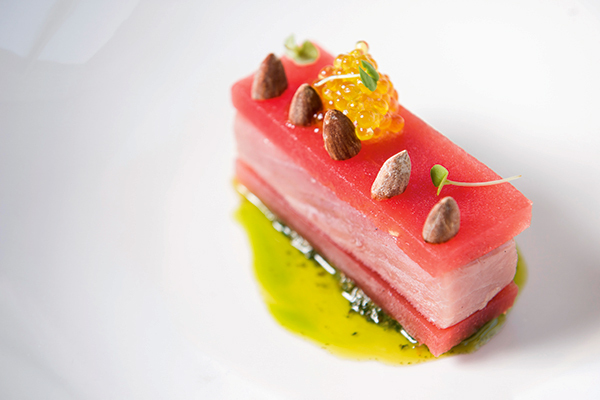 Executive Chef David Pugh and his kitchen team created the stunning dishes featured on their “Spring has Sprung” menu: confit of mooloolaba tuna, watermelon, almond and basil pesto pan fried bendelle duck breast, beetroot, orange, hazelnut and citrus jus roasted bundeberg sweet potato beignets, chocolate, orange, thyme infused honey. Now that would really add the wedding wow factor. Please enjoy more photos below -- click on image to view full size.